Taking cues from the outdoors is a clever way to style up your roof. It allows you to establish your home’s connection with your landscapes. When done right, it can make your home blend well in the environment while standing out on its own. As one of the most trusted roofing companies in the area, Kroll Construction shares some tips on pulling it off. Pick a hue that helps create continuity between your home and its hardscapes, such as stone sidewalks and pavers. It can be tricky to base the color of your shingles on trees because they change in appearance as the year goes on. On the other hand, brick siding would look the same no matter what. Don’t match the color of one of your hardscapes to avoid making the color scheme seem dull. Choose a hue of a slightly different shade instead. The texture of your roof adds visual weight to your home’s exterior design. As you pay homage to your landscapes with colors, an attention-grabbing texture would make your roof shine on its own. As one of the few Owens Corning®-certified roofing contractors in the state, Kroll Construction gives you access to the premium TruDefinition® Duration® Shingles. Other than their rich, long-lasting hues, they play with the eye with multiple-granule shadowing. They feature dramatic details to bestow your new roof head-turning textural quality. Even when you find a matching color and texture, you still need to accentuate the connection through lines and shapes. If you have rectangular design elements in your outdoor spaces, like a staggered-edge stone patio, choosing the same style for your roofing shingles can create a seamless look. 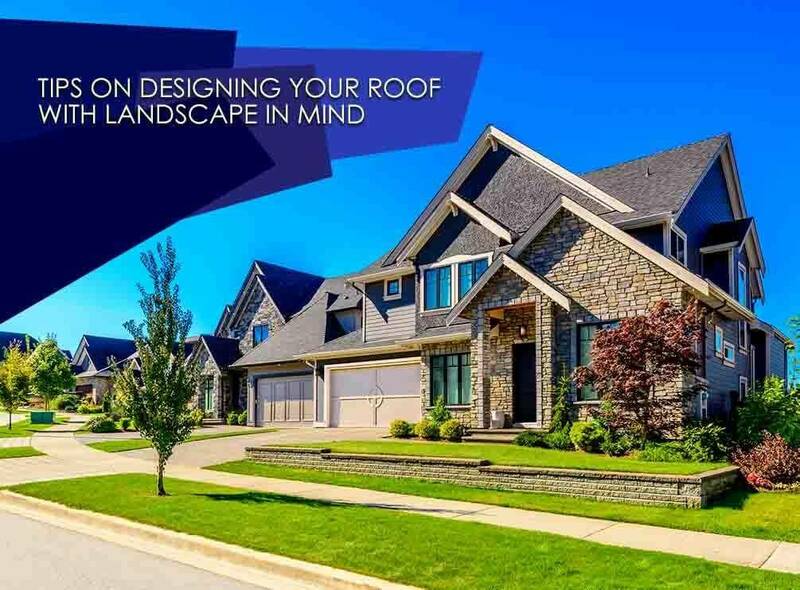 Let Kroll Construction bring out the beauty of your home with the right roofing system. Our Owens Corning shingles come in various colors and styles to match your design needs. Call us today at (888) 338-6340 to get your project started. Michigan homeowners can also request a quote by filling out our contact form.